I'm Melinda Curtis. I write sweet romance for Harlequin Heartwarming, sweet romantic comedy novellas, and sexier traditional contemporary romances, plus I DIY. Over the past few years, my husband and I have been saving our extra pennies to help put three kids through college (bad planning on our part). But now we've got one graduate, one about to graduate and the end in sight for the 3rd child! So we decided to remodel the house we've been living in for 27 years. 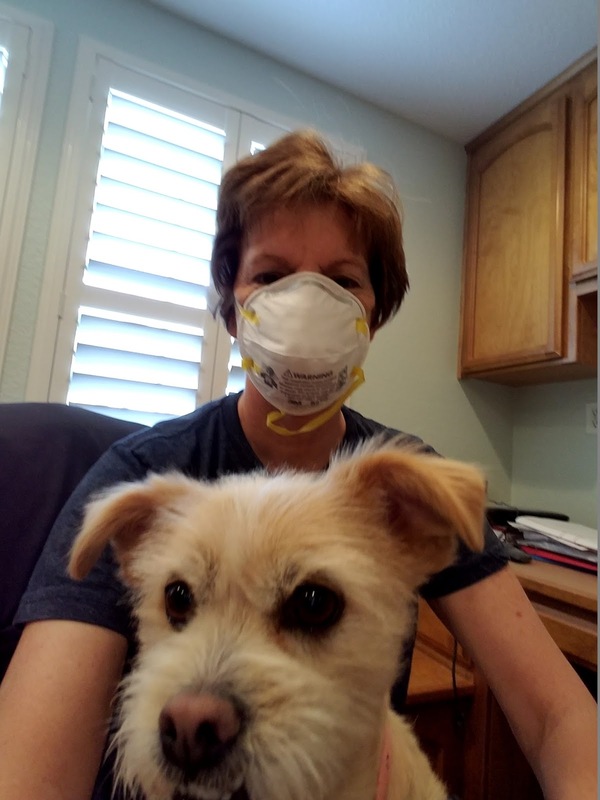 Here I am with my trusty work dog, Tally, and my mask (I've misplaced my goggles more times than I can count). 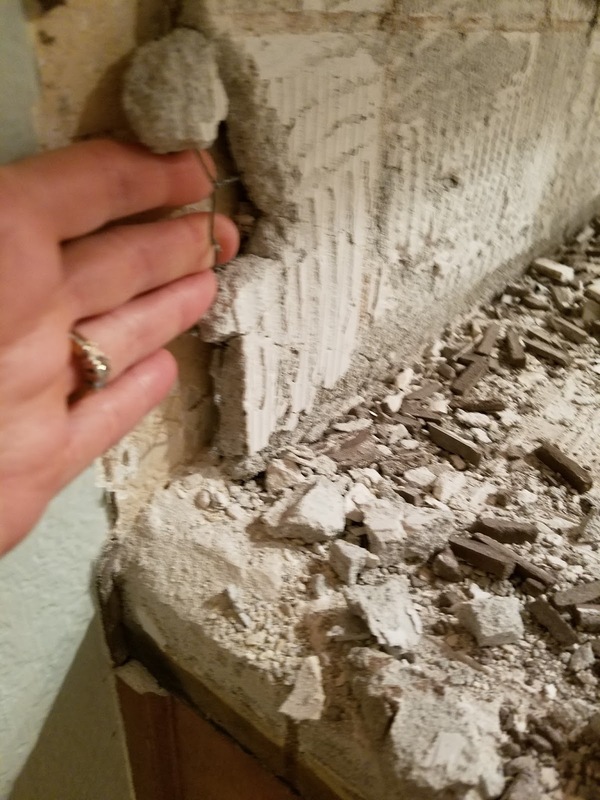 If you've ever looked at the tile in your kitchen and thought, "I want to replace it," make sure it wasn't installed around the 1980s. 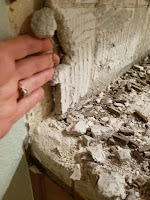 Instead of our tile being installed with 1/4" mortar on plywood or drywall, it was installed on nearly an inch thick layer of concrete on top of chicken wire which was stapled to the plywood and drywall. Here we are trying to remove it. The countertop salesman told us it should only take us an hour. It took us 6! The week before this I was removing baseboard with a crowbar and hammer. I was wearing gloves but missed my crowbar several times. DIY isn't for the feint of heart. And neither is writing romance! I enjoy creating characters who are able to handle life's ups and downs with patience and a bit of humor. And since my parents are older and have quirky friends, I tend to add supporting characters who are a bit older. Which would you prefer tackling? 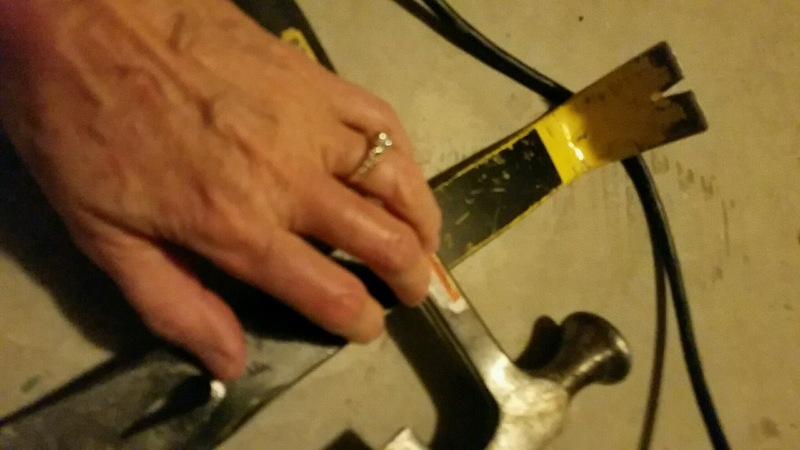 Writing a romance or doing some DIY? 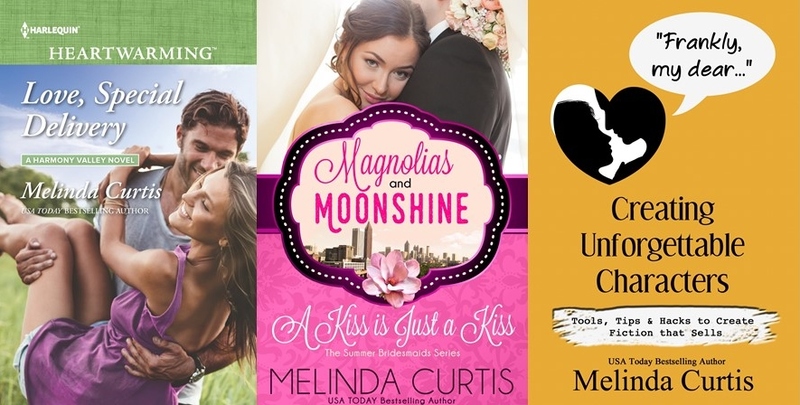 Melinda Curtis is an award-winning USA Today Bestseller. 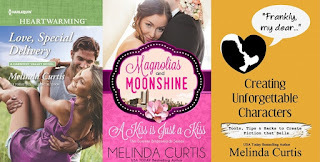 Her latest releases are Love, Special Delivery (Harlequin Heartwarming, Harmony Valley series, available now), A Kiss is Just a Kiss (Summer Bridesmaids series, Book 1, available 4/27), and Frankly, my dear...Creating Unforgettable Characters (a writing craft book, available now). You can receive FREE READS by signing up for Melinda's mailing list here. This week, you can enter to win a prize pack on Facebook here. Hi Melinda! I would definitely rather tackle writing a romance than DIY any day. I'm totally not that type of person. LOL Now, I can crochet and bake. But DIY, nope. LOL I think it's great that you do! You take on some big projects! Melinda, I have to say, I'm with Melanie on this one. I am not the type to take on a DIY project but I certainly admire you for doing them. 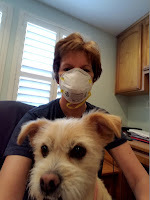 Unlike Melanie and Mary -- I DIY project is just the thing I can use as an excuse not to be writing. I'm with Melanie and Mary on this one, Mel. I'd rather tackle writing a romance any day. Writing. My hubby does the DIY, but I often have to assist against my will.